RThis item is refurbished. We have brand new ones with a longer warranty for just £134.99. Would you like to see them ? 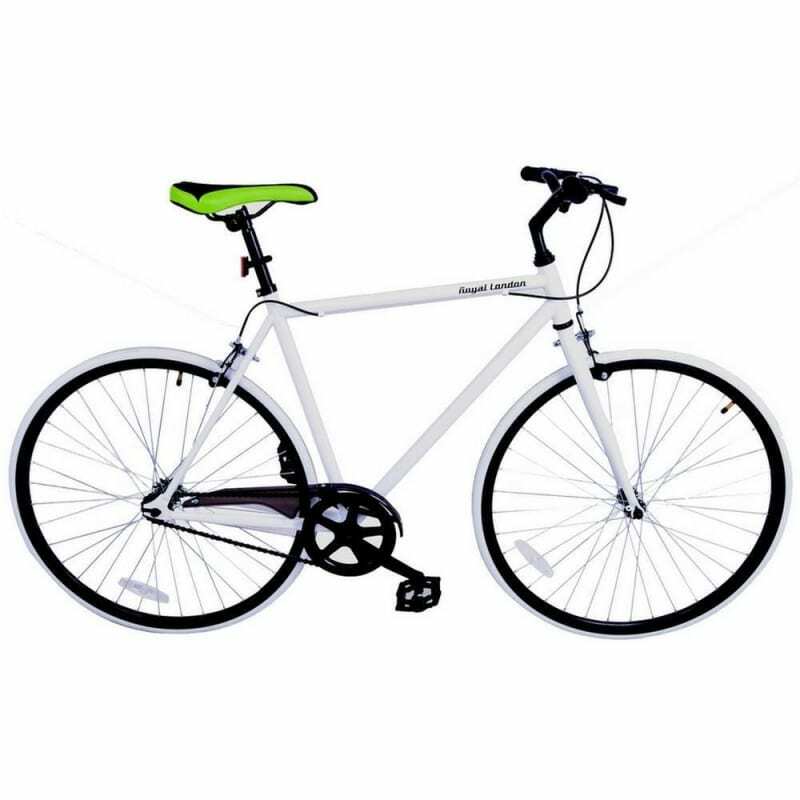 Fixies or fixed gear bikes are great urban bikes that are extremely popular with biking aficionados who feel they give a pure, enjoyable and exciting cycling experience. With no freewheel, your legs control the pace – there’s no coasting – to brake, you use your legs to slow the pedals. The stripped down, minimalist design reduces weight and increases your connection to the road – it’s like nothing else on two wheels. Often, fixies come without brakes, but to ensure safety and compliance with the laws of the land, Royal London have attached brakes at both the front and rear wheels. There’s also a flip-flop rear hub – this allows you to ride it as a pure fixed gear bike, or convert to a single speed.